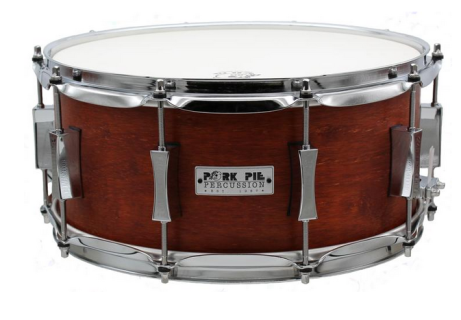 Pork Pie Drums has been one of the best custom brands in USA since they started 20 years ago. 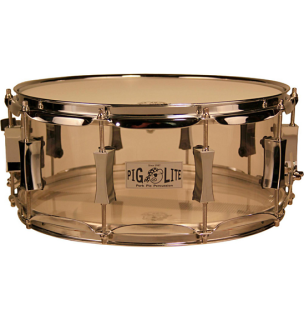 They produce Custom Shop Snare Drums at the price of a production model which makes it very value for money. Each Pork Pie USA Drums is hand signed, hand serialized, hand dated. The Boss - Bill Detamore. 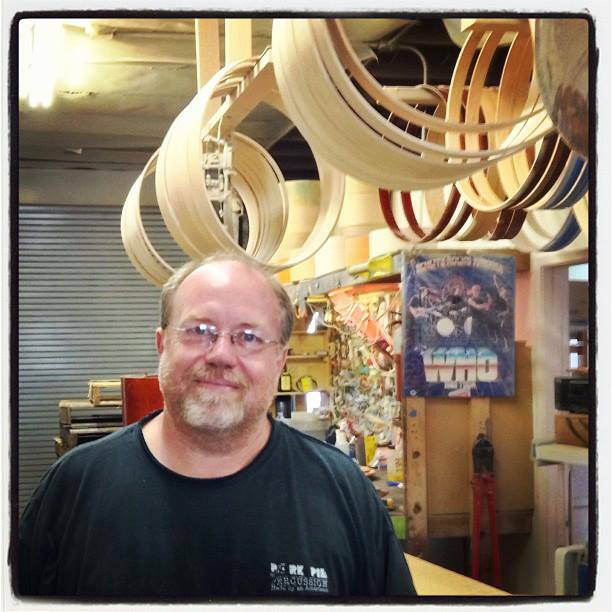 Bill Detamore has been making drums in this business for 30+ years. He started out as the master builder in DW Drums before leaving to start his own company "Pork Pie Percussion". Over the years, Bill has a reputation for cutting the best bearing edges in the drum industry. 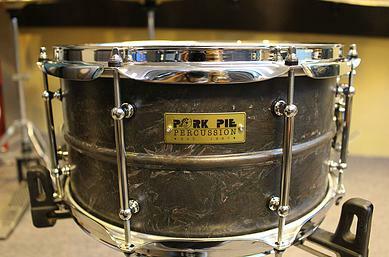 ​On top of that, Pork Pie has been the "go to" custom company for many top drum companies whenever they need a custom kit built for their artists. Bill's clients includes : Travis Barker, John JR Robinson, Alex Van Halen, Chad Smith, Ginger Baker, Jeff Porcaro, Tim Alexandre and many more. Pork Pie Custom Shop Snare Drums are the flagship and most popular line of drums offered. 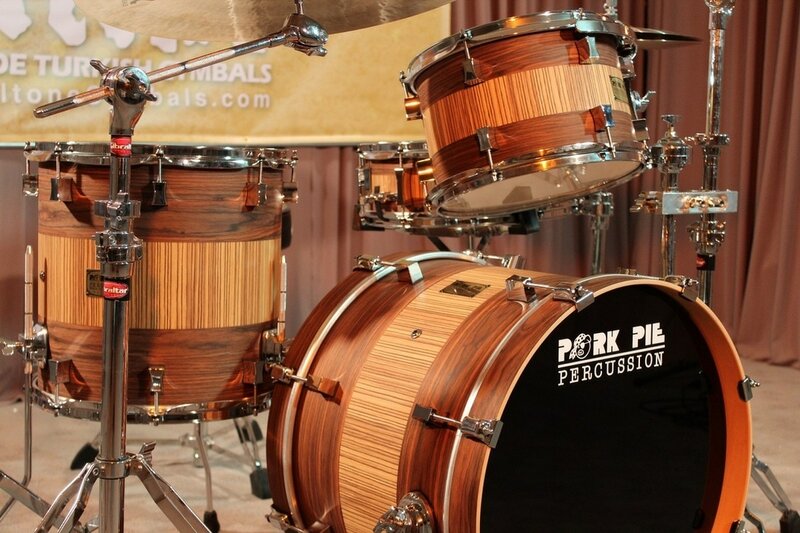 These drums features 8 ply North American Maple Shells made by a huge custom company in California and features various veneers, wraps and finishes. They are the best drums made for its price point. These drums are very similar to drums twice its price without losing out in performance and quality. 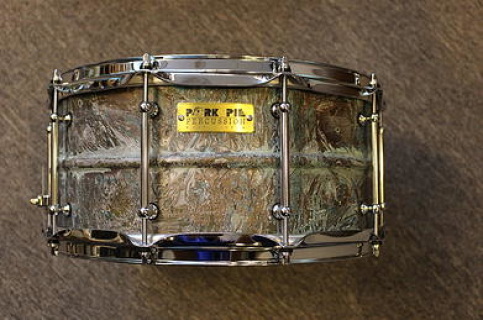 Each Pork Pie USA Custom Drum is hand signed, hand dated and hand serialised by Bill Detamore. 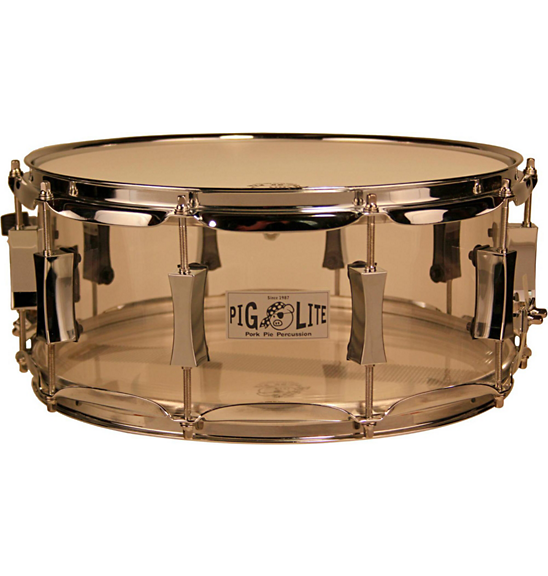 These snare drums features USA Made Acrylic Shells, bearing edges cut by Bill Detamore and Remo USA Drumheads. As a result of these great combinations, there are much more tone, resonance in each of these Snares compared to other Acrylic Drums.